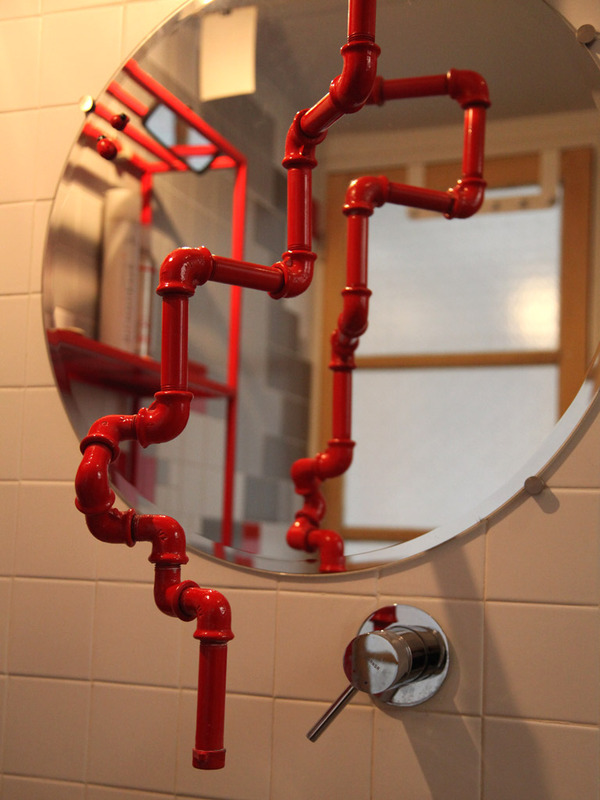 scope: Tap design and manufacture. 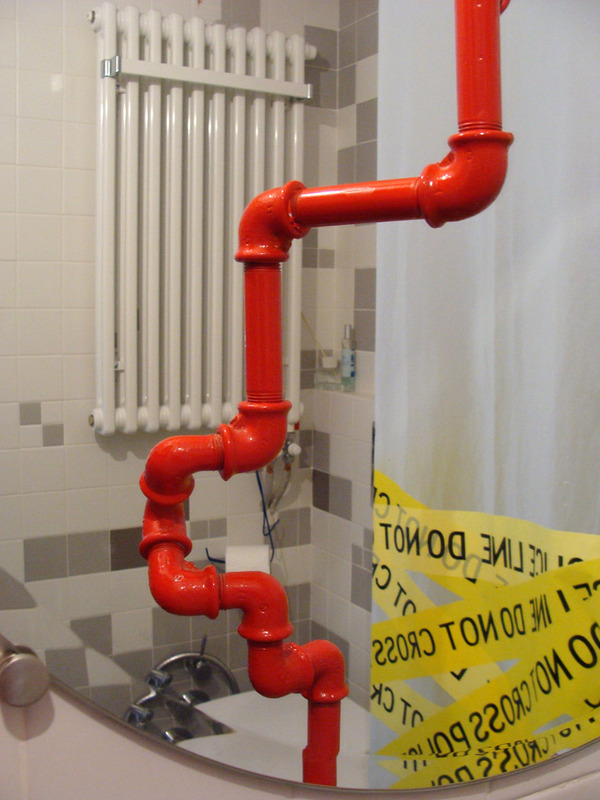 construction: Roof tap for a wash basin. 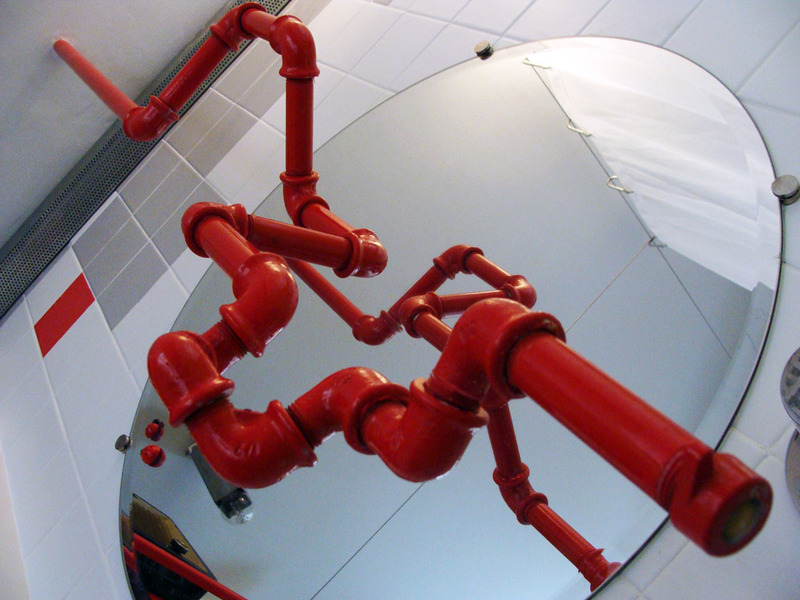 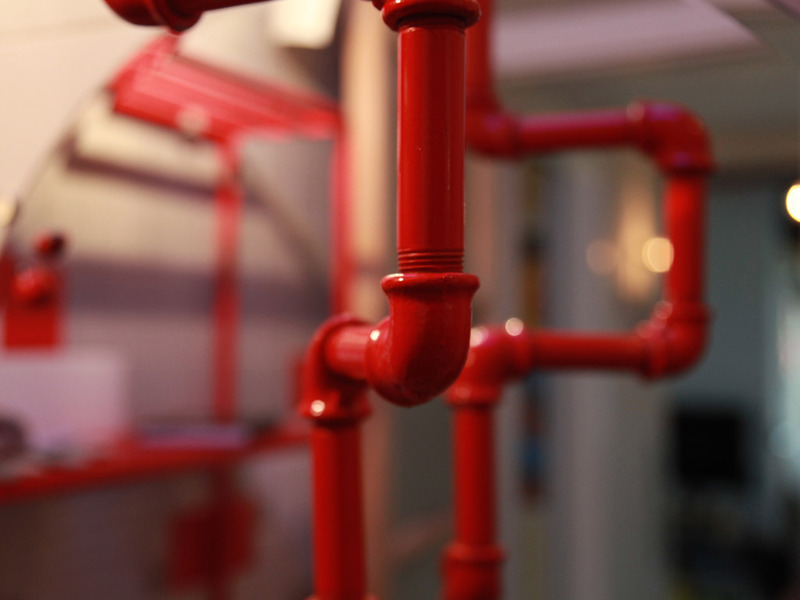 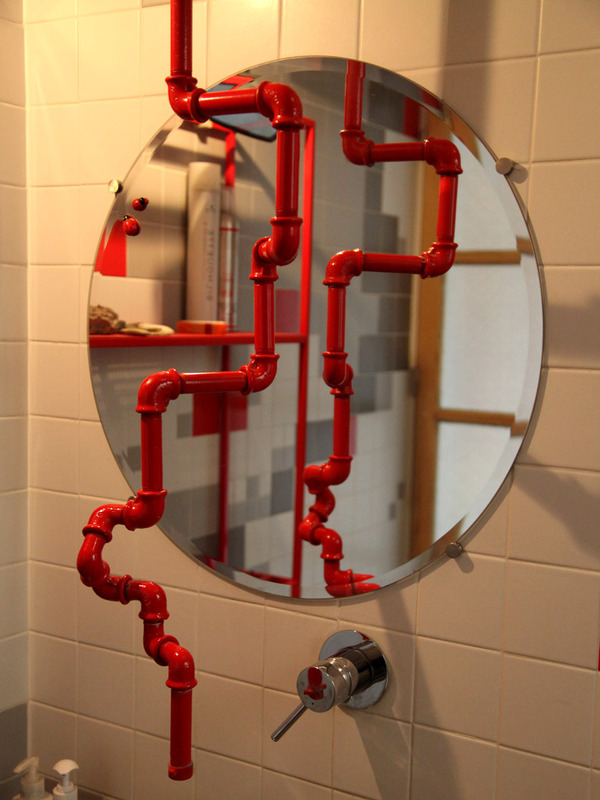 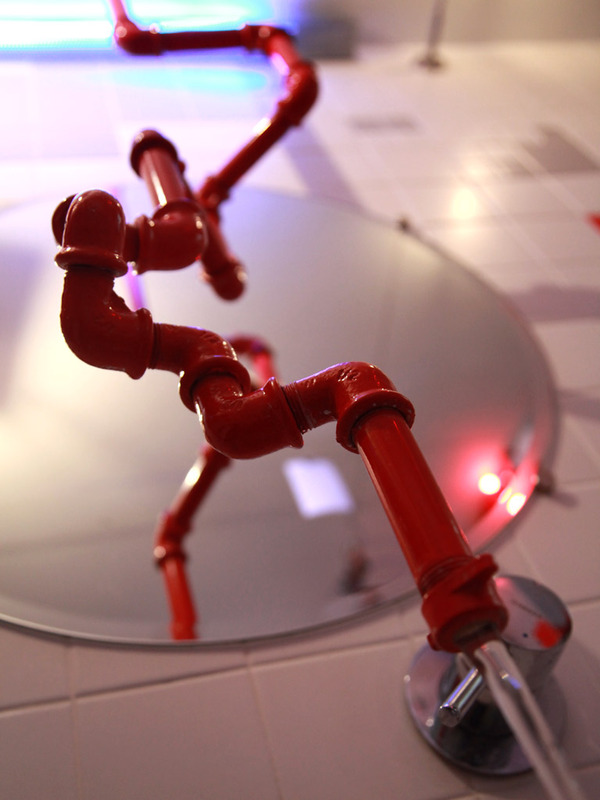 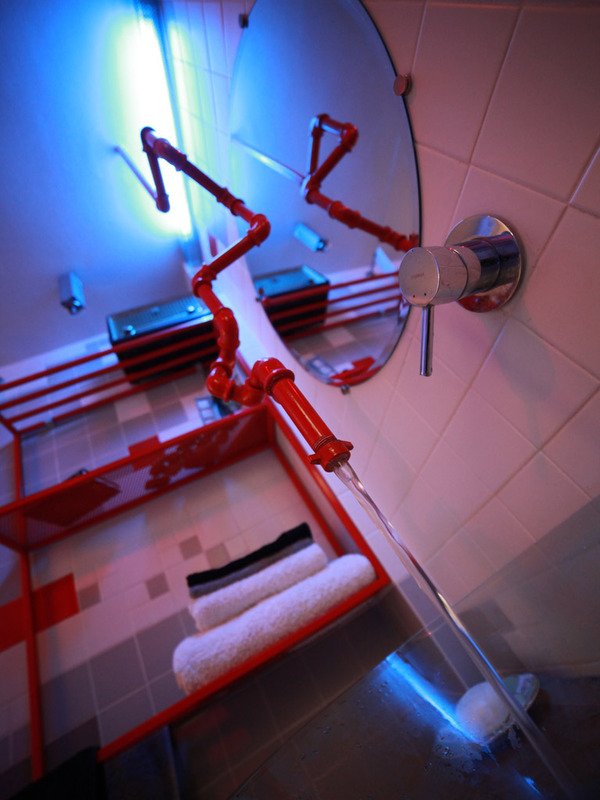 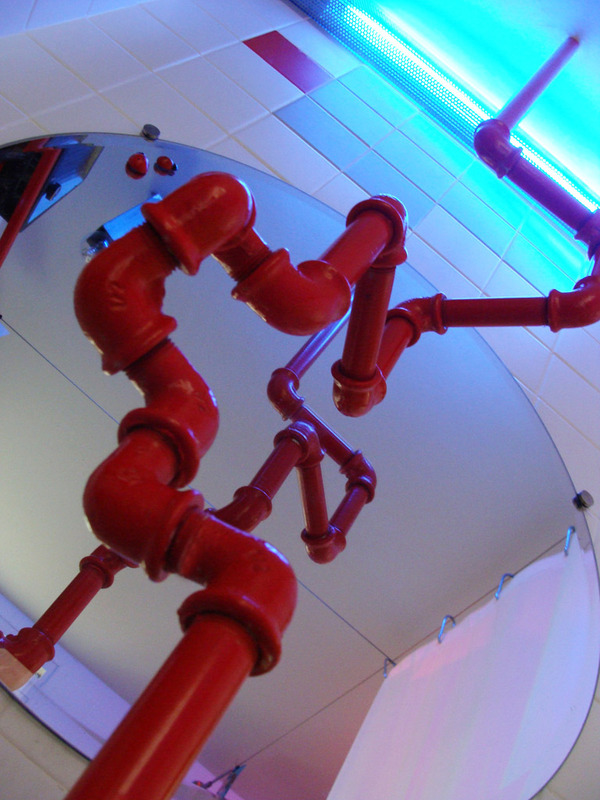 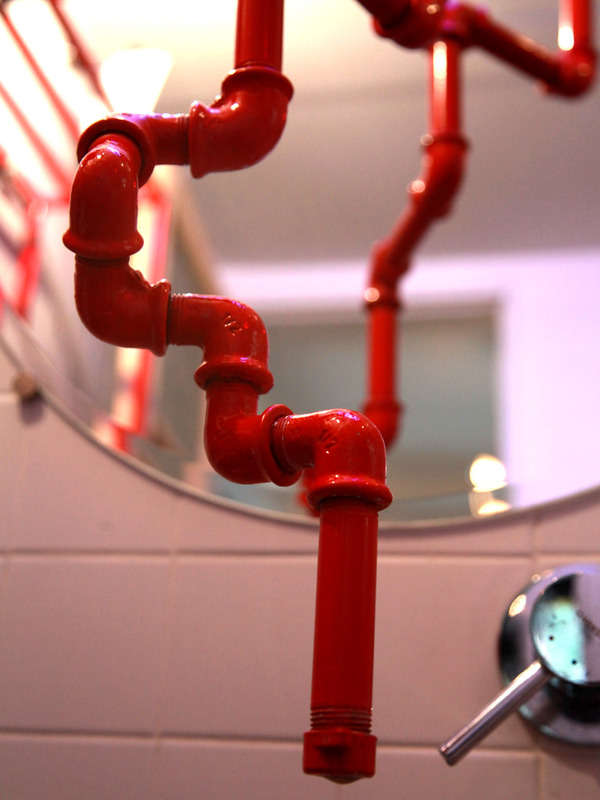 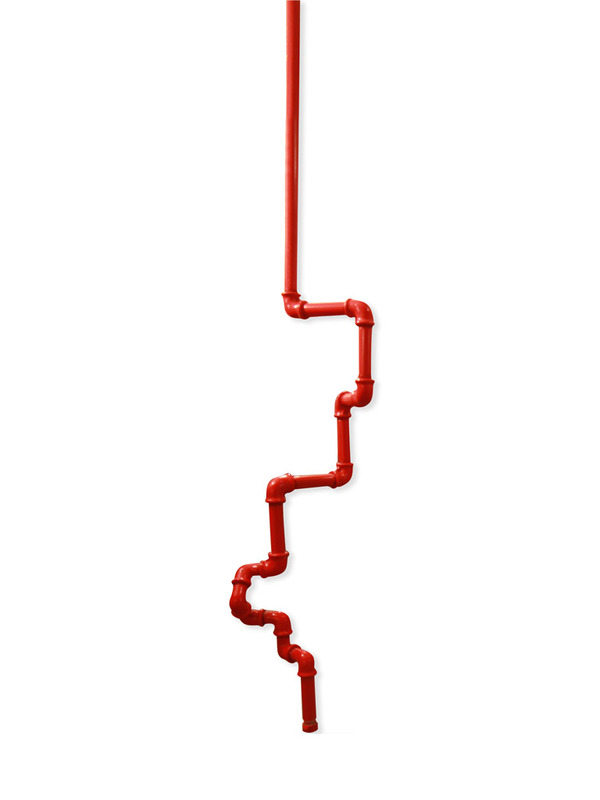 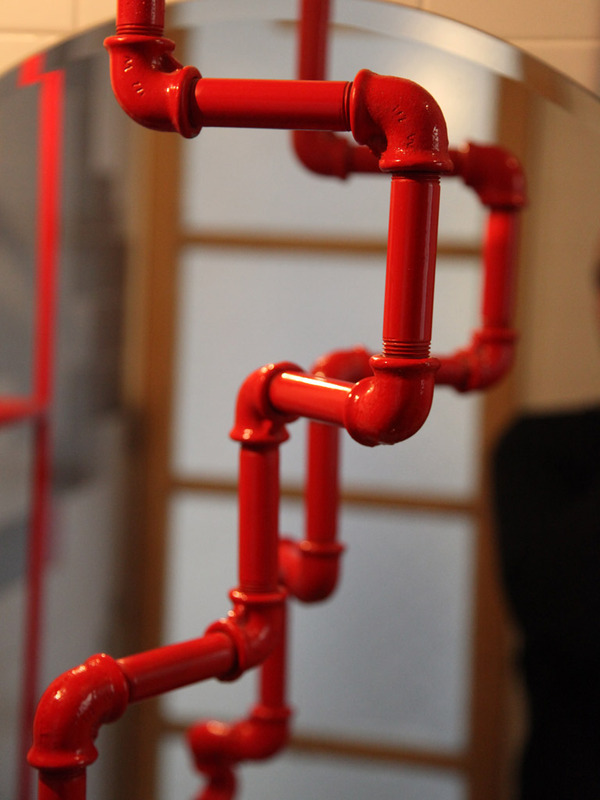 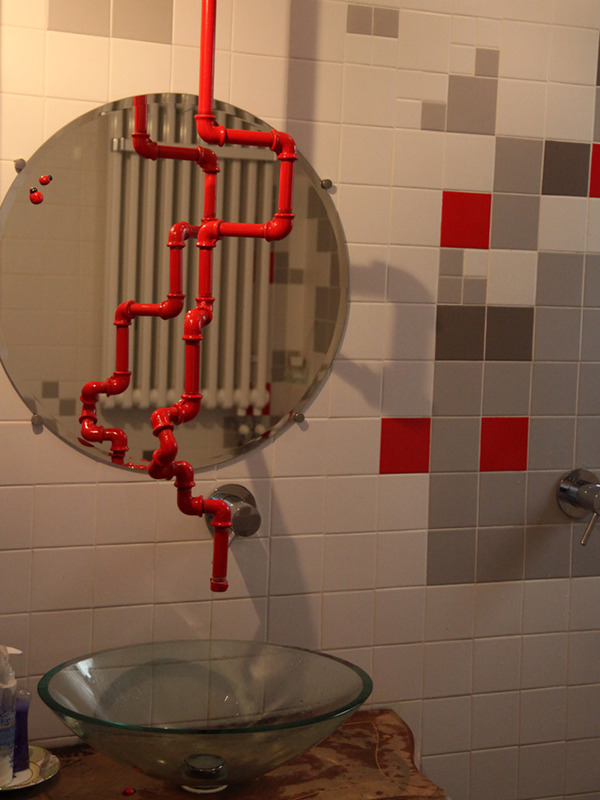 materials: Galvanized hydraulic pipes and fittings ½ ” in electrostatic paint in red color, double metal and plastic water filters.